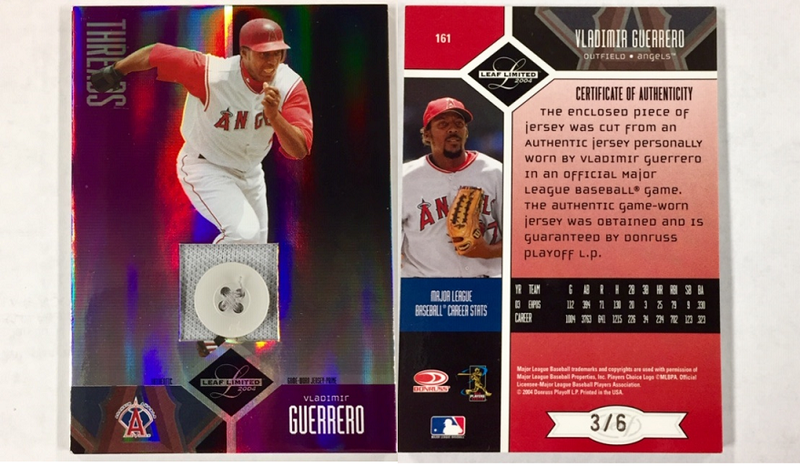 This card contains a swatch from Vladimir Guerrero’s game-used jersey that has a button on it. The card is #ed 3/6 (only 6 of these were made because there are only 6 buttons on a jersey). We have only 1 available!